The Baby Turtle comes in 4 refs. 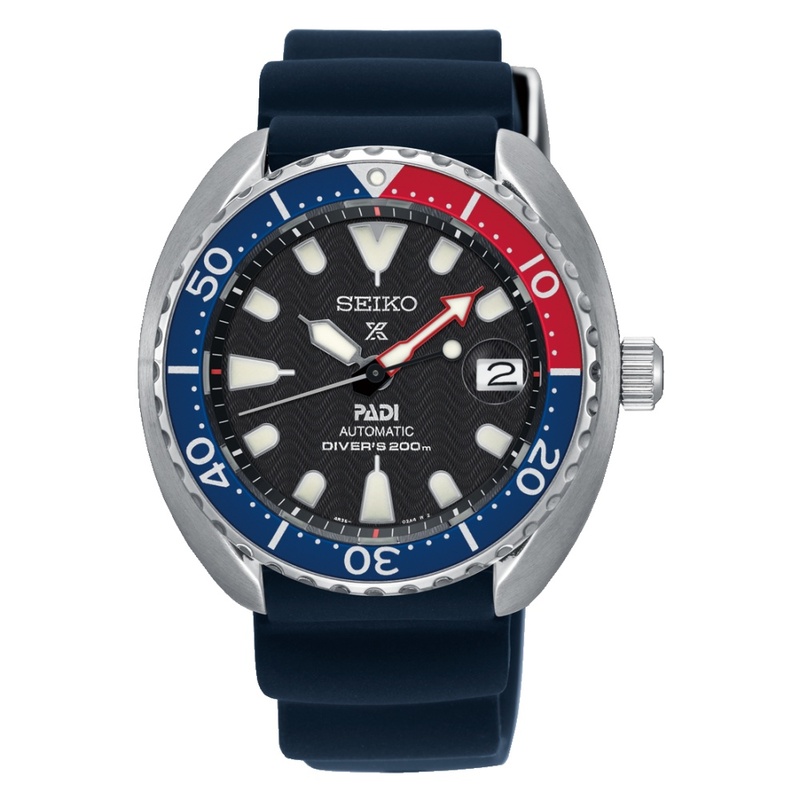 SRPC35K1 Black on Black in Steel, SRPC37K1 Black on Black in Rubber, SRPC39K1 Blue on Blue in Rubber and SRPC41K1 PADI in Rubber. Powering the Baby Turtle is an in-house, Seiko Japan automatic 4R35 caliber with 24 jewels, a beat-rate of 21,600 vph and a power reserve of 41 hours. 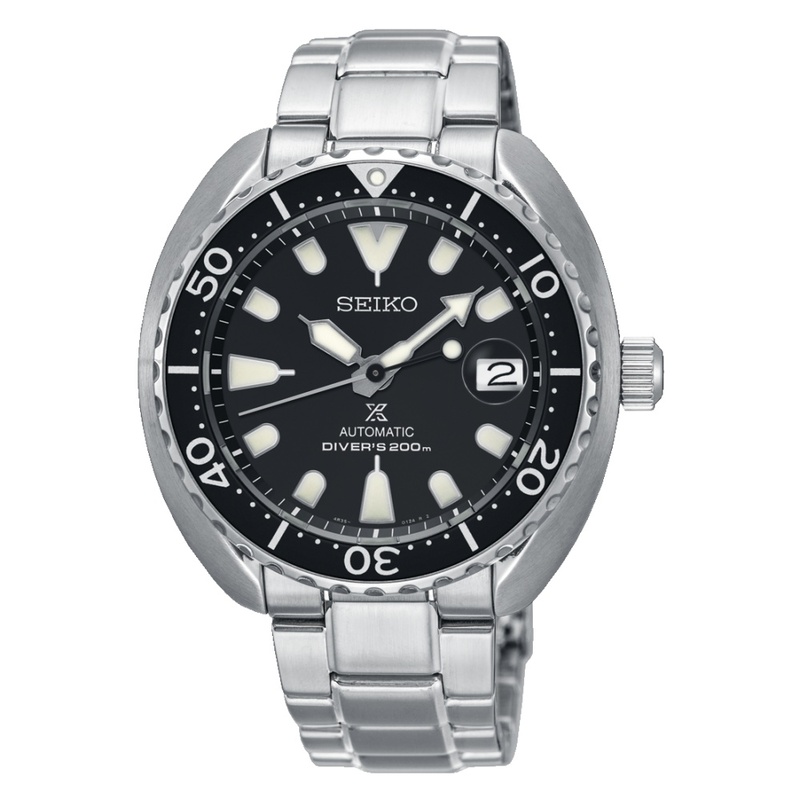 The Baby Turtle’s 42.3mmmm in diameter case is made from Stainless steel. 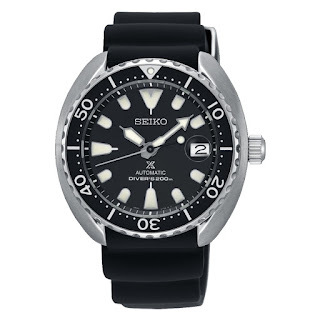 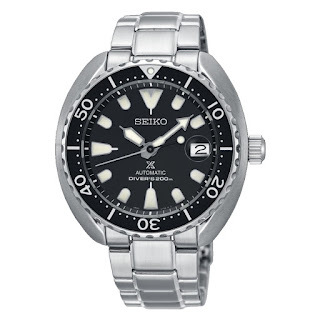 It is fitted with a black rotational diver’s bezel with a colored 15-min scale, and a Hardlex mineral crystal. 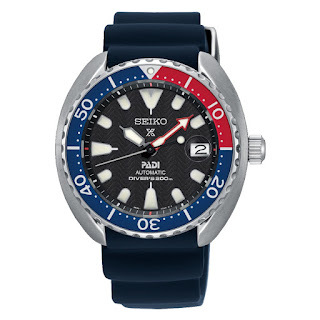 The case has a water-resistance up to 200 meters. The Baby Turtle is comes on either Steel bracelet with a trip-lock clasp with secure lock, push-button release and divers extender or rubber divers strap.